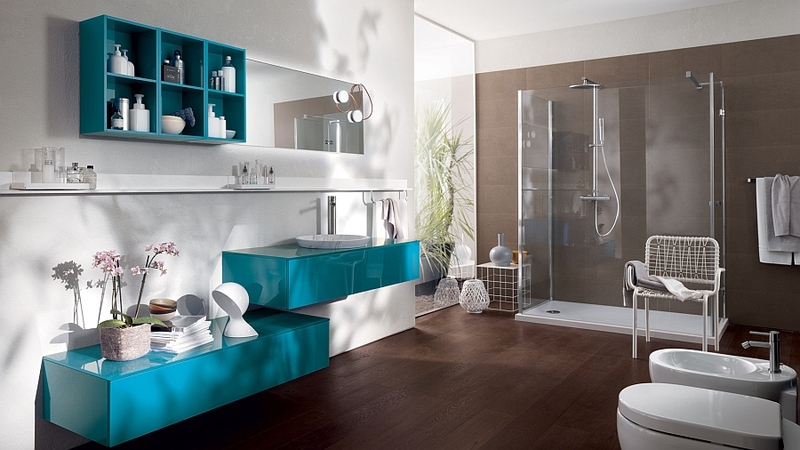 If you are a design aficionado, then the idea of the luxurious modern bathroom is nothing new or revolutionary. 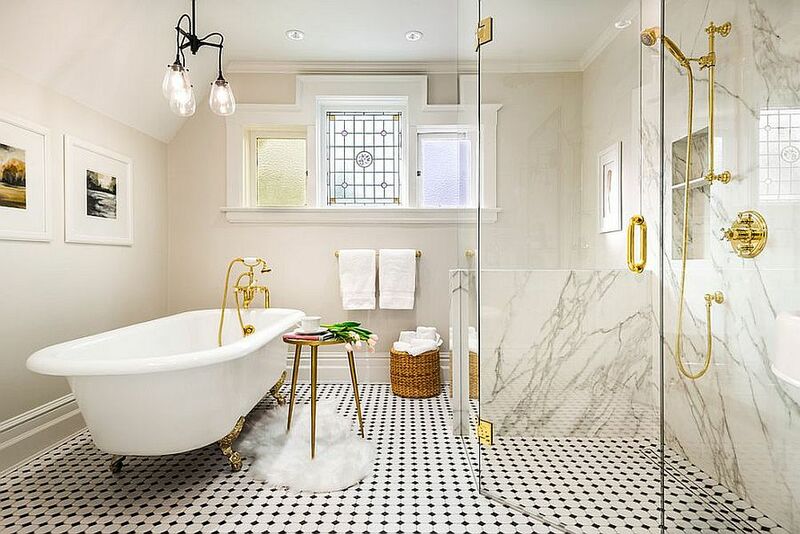 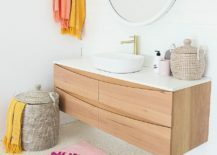 Even for those who do not closely follow design and decorating trends, the spa-inspired bathroom is something they would have come across all too frequently in the last few years. 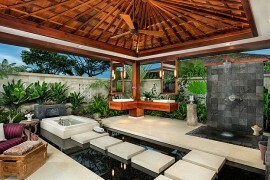 Increasingly, bathrooms are embracing luxury, tranquility and a sense of innate minimalism. 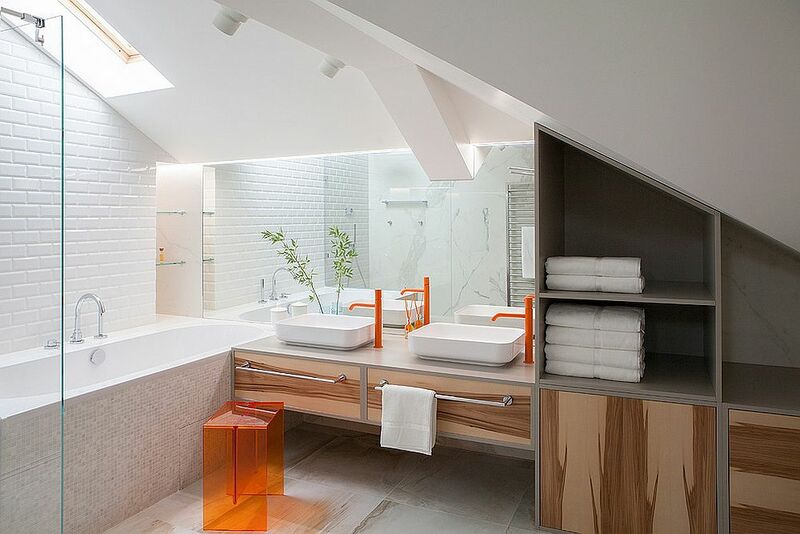 They are no longer just an afterthought and it is often the neutral color palette that shapes these stunning spaces. 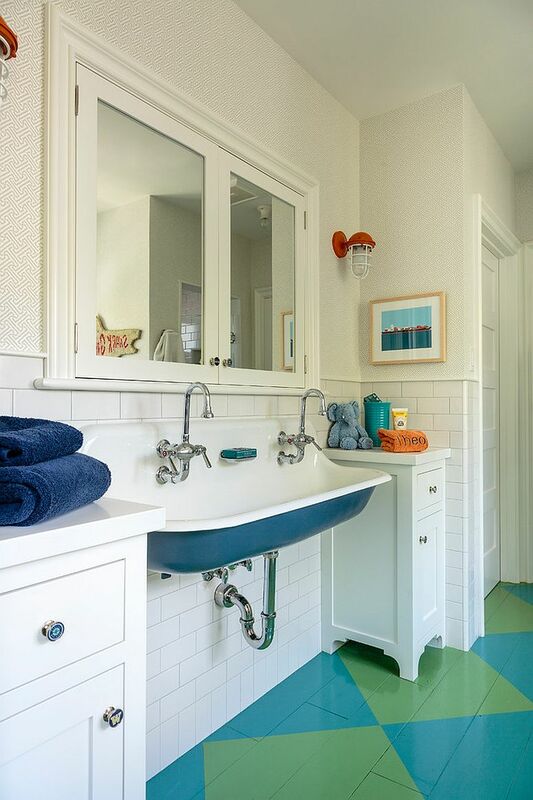 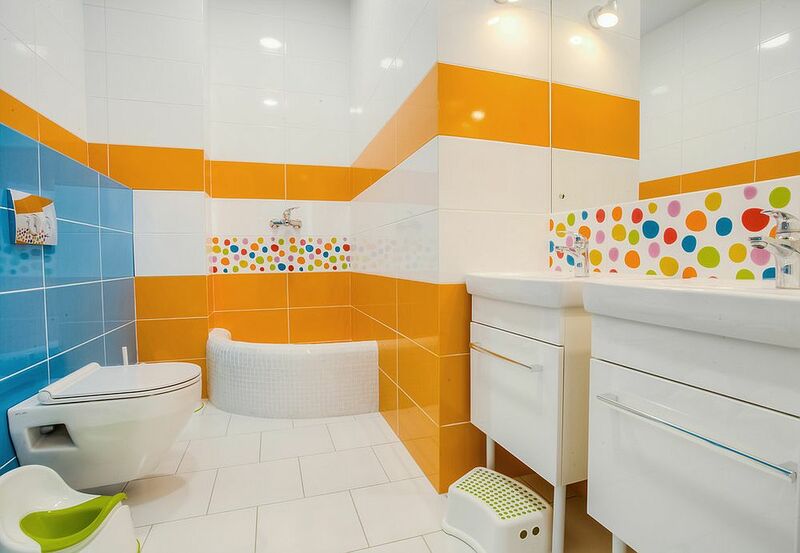 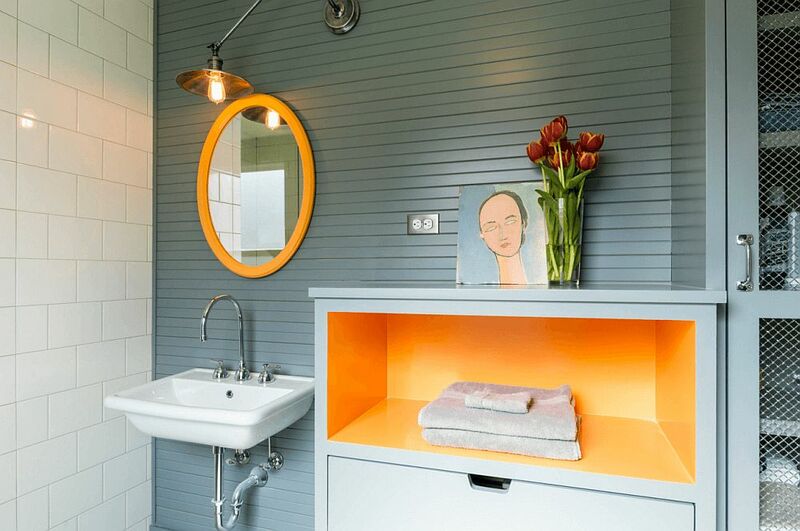 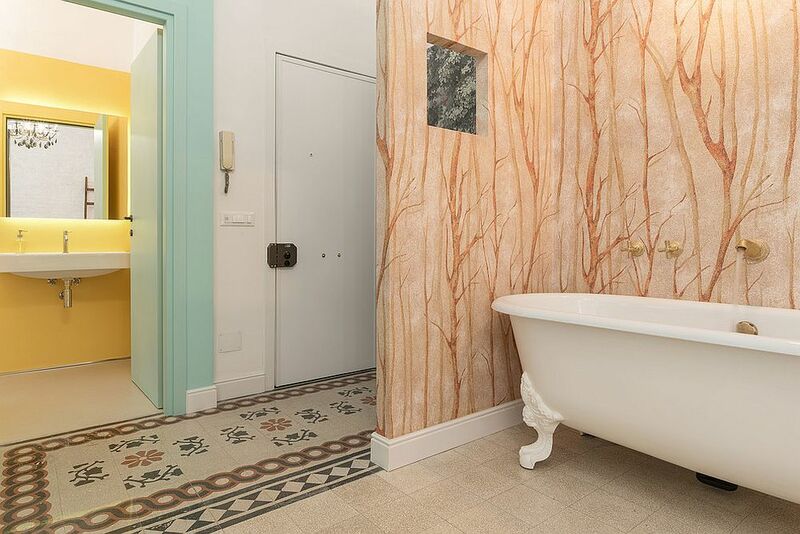 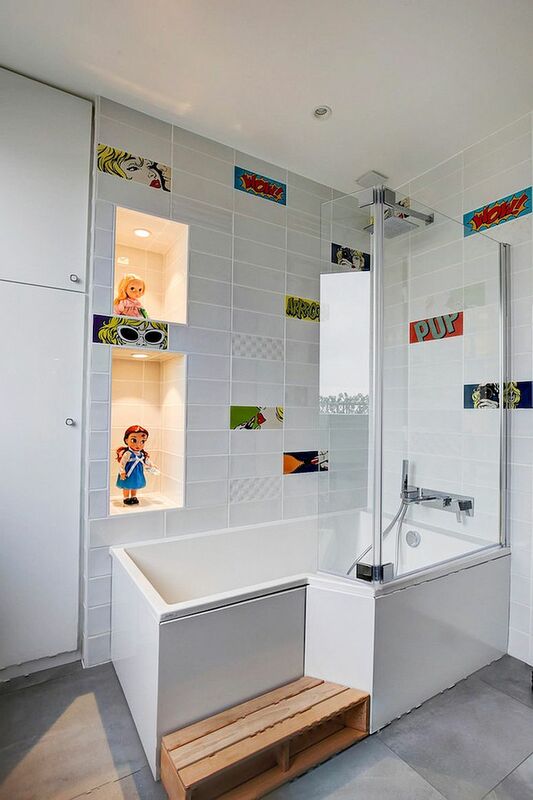 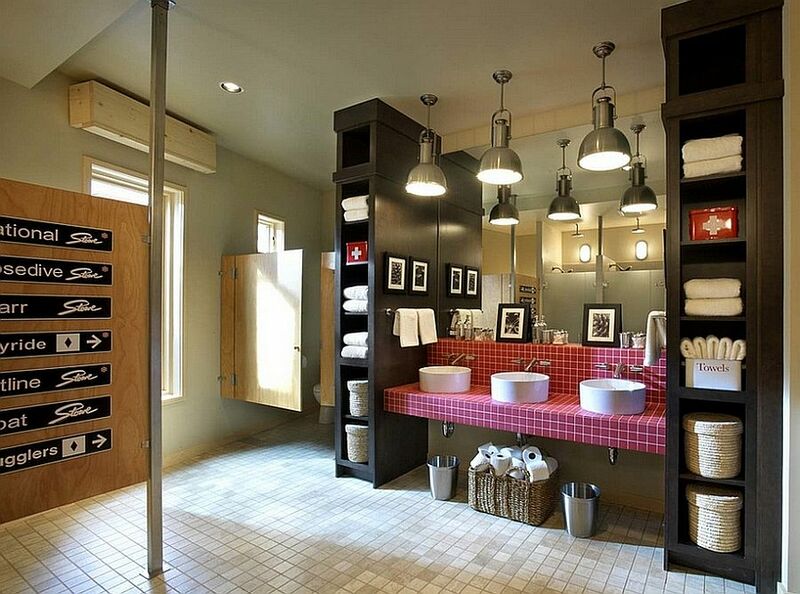 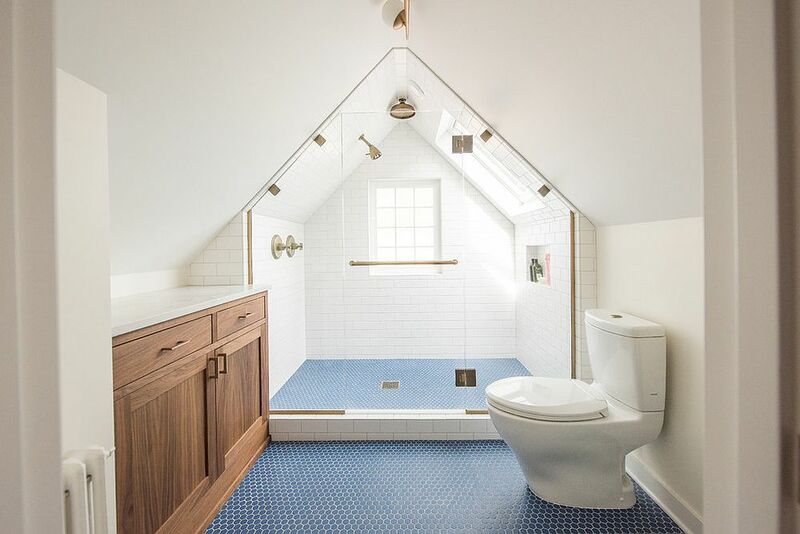 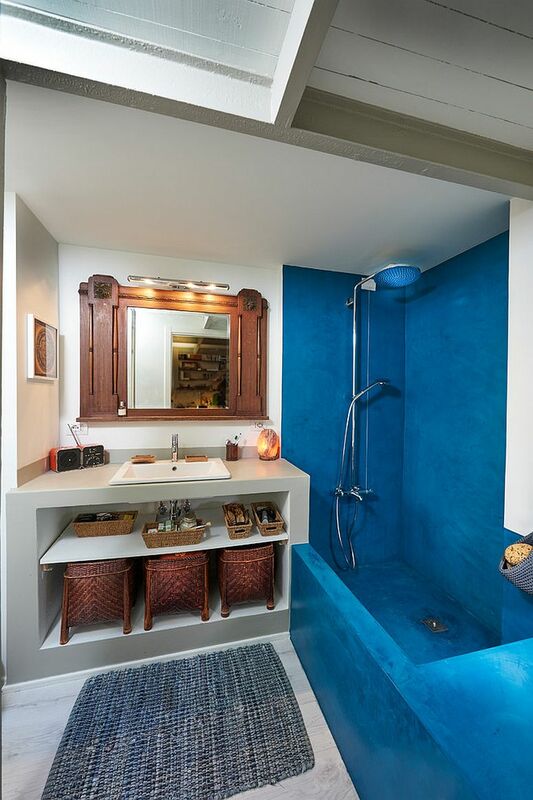 But how do you add a bit of color, character and energy to these awesome bathrooms? Bringing color into the bathroom with a neutral color scheme is all about balance and the right utilization of space and aesthetics. 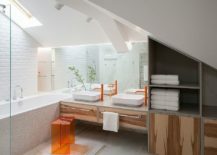 Sometimes too little color goes unnoticed and on other occasions too much color can take away from the sense of tranquility inside the bathroom. 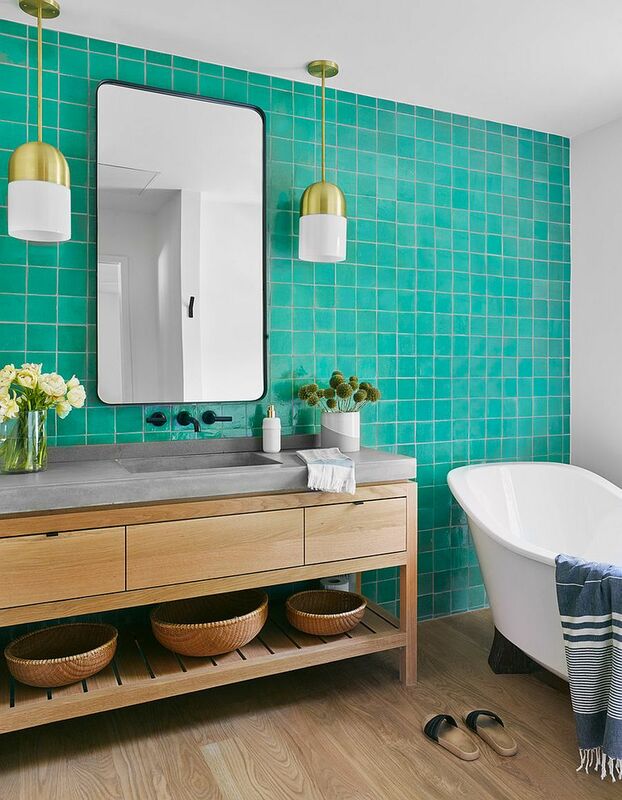 Showcasing the right balance without moving away from the spa-inspired look, these are 25 bathrooms that blend serenity with colorful bliss. 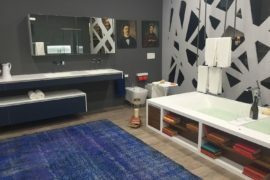 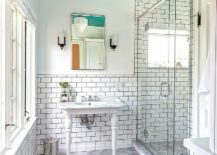 Accents are the easiest way to bring color into any room and it is no different in the contemporary bathroom as well with the neutral backdrop allowing these accents to shine through further. 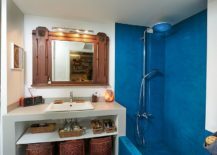 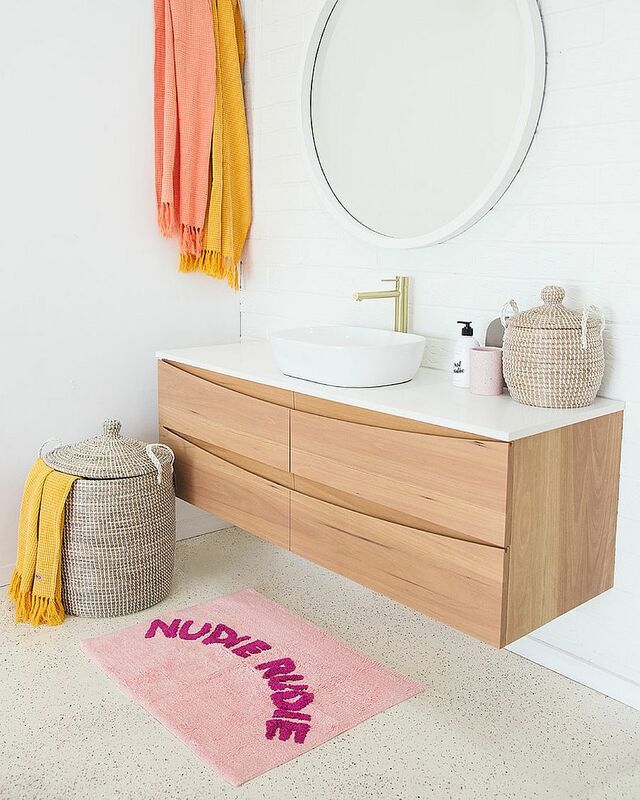 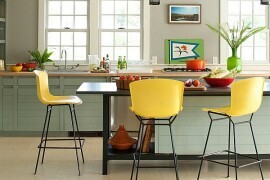 It could be something as simple as towels in bright hues or a fixture as unique as a bathtub in bold color. 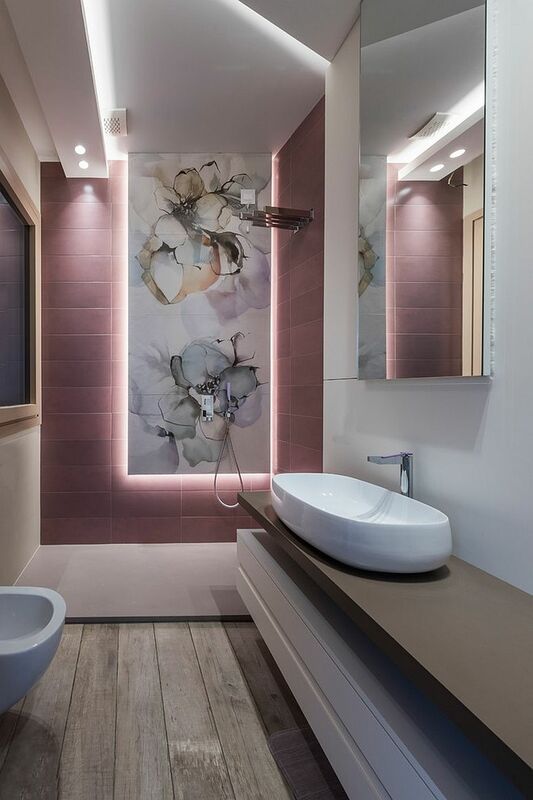 No matter which accessory or bathroom fixture you choose in an attempt to add color to the neutral bathroom, make sure it is repeated more than once to create a bigger visual impact. 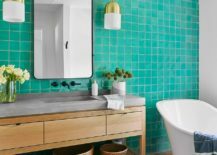 For those who want to go down a more permanent route this fall, tiles with colorful panache are a wonderful option that work with variety of styles. 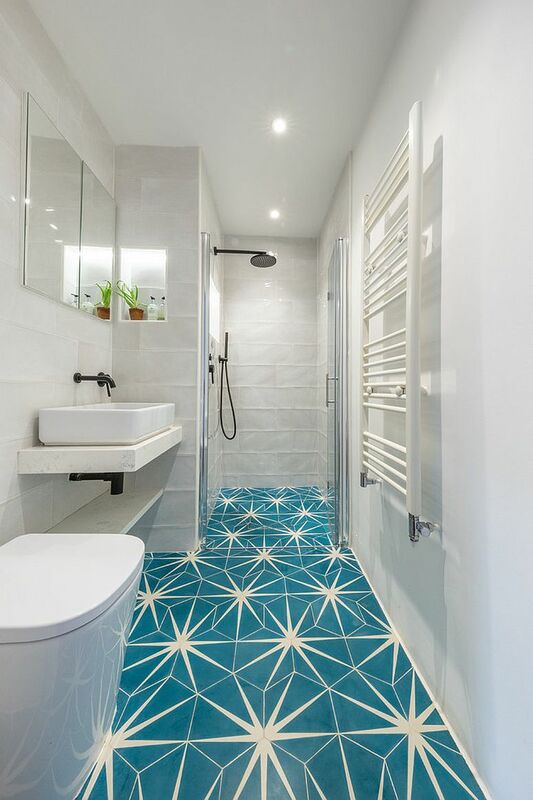 By keeping the rest of the bathroom neutral and using colorful tiles for the floor, you can instantly create interest without altering the theme of the room drastically. 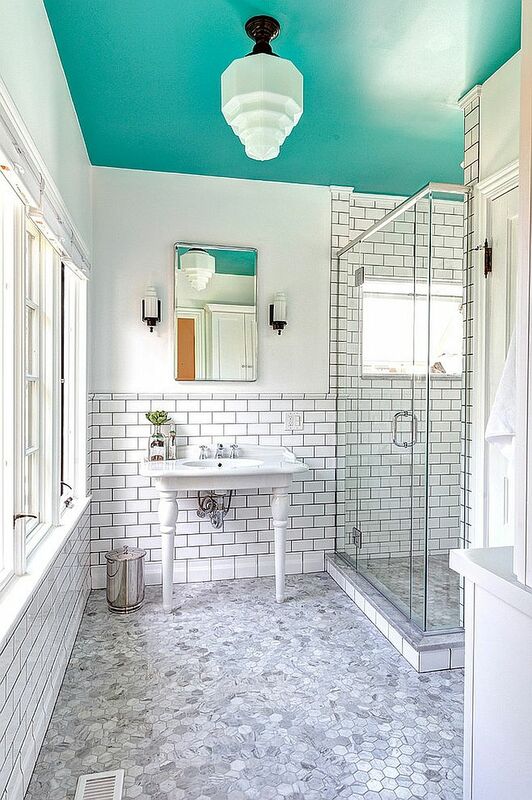 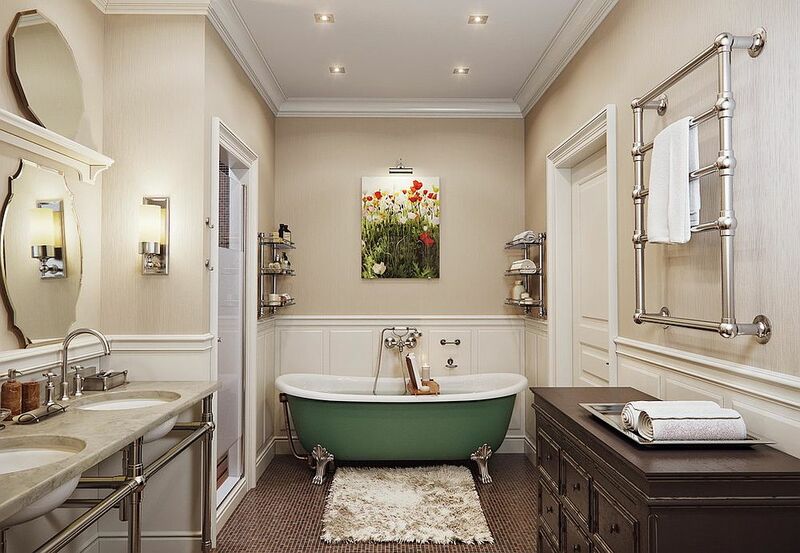 The same can be said for the painted bathroom ceiling – a route that this taken far less often. 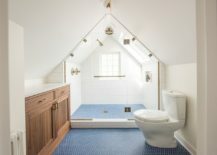 For some reason homeowners are still reluctant to paint the ceiling of rooms and this is a space constantly under-utilized while altering the style and visual appeal of the bathroom. 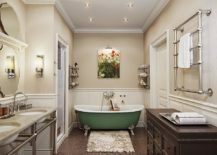 You need not always stick to a strictly contemporary narrative when trying to create a relaxing bathroom that oozes class and luxury. 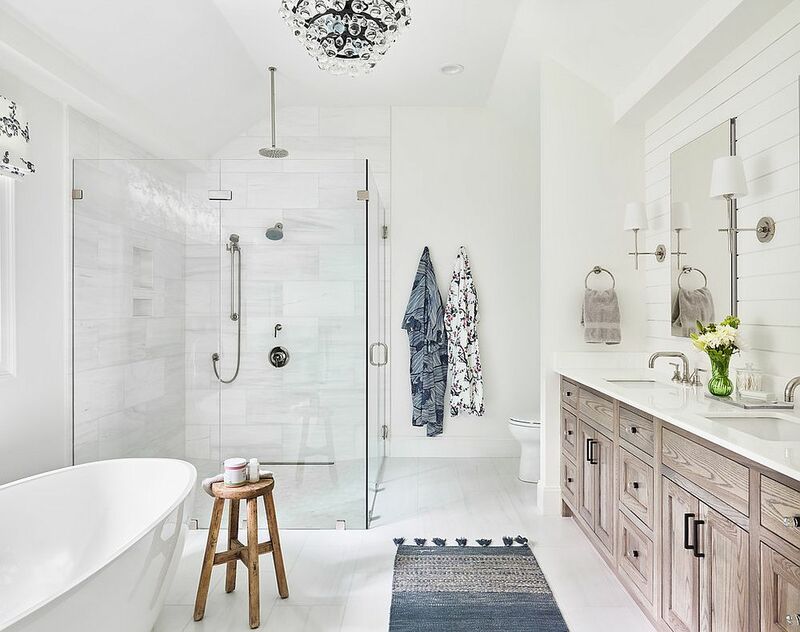 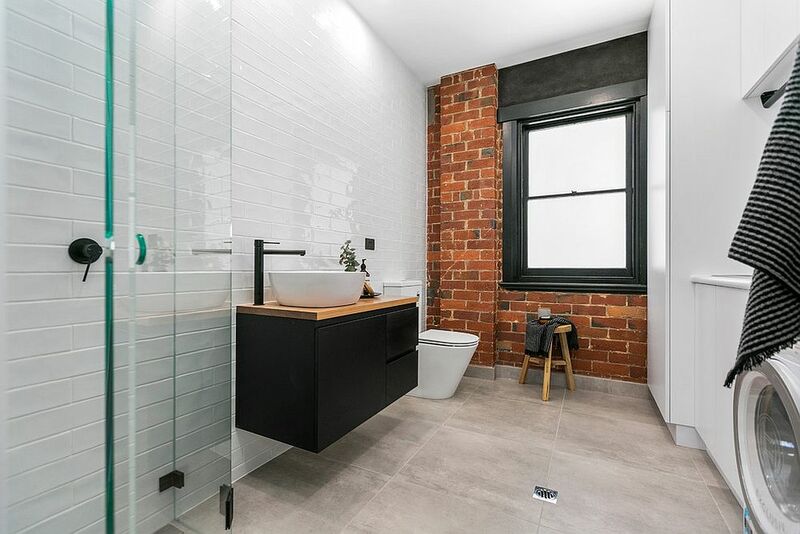 Even with styles such as industrial, rustic, eclectic and shabby chic, you can still shape a beautiful and serene bathroom by infusing a bit modern flair. 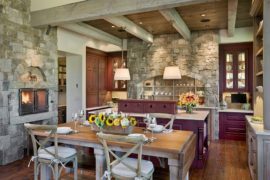 Here color comes with textural contrast using brick wall sections, wooden beams and concrete accent walls. 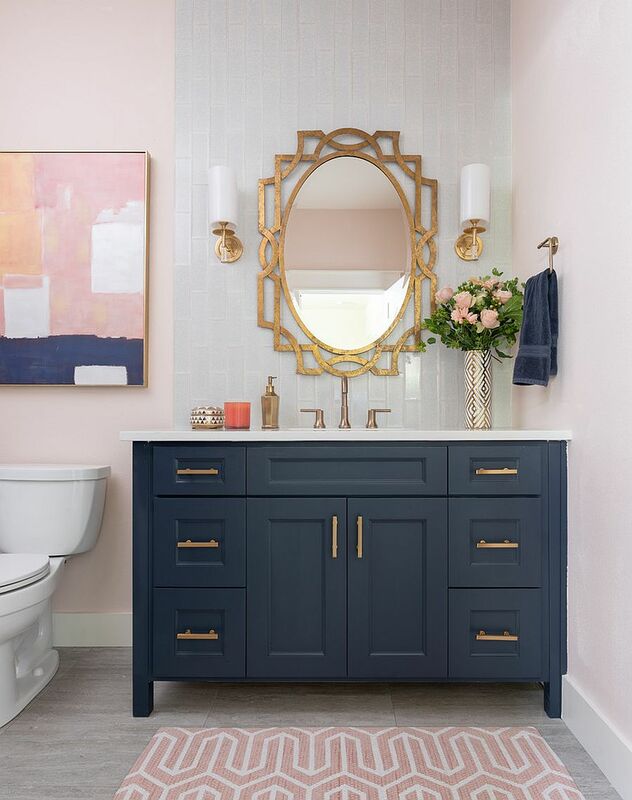 Despite the change in texture, you can still add further contrast with a colorful vanity or some cool bathroom fixtures with metallic glint. 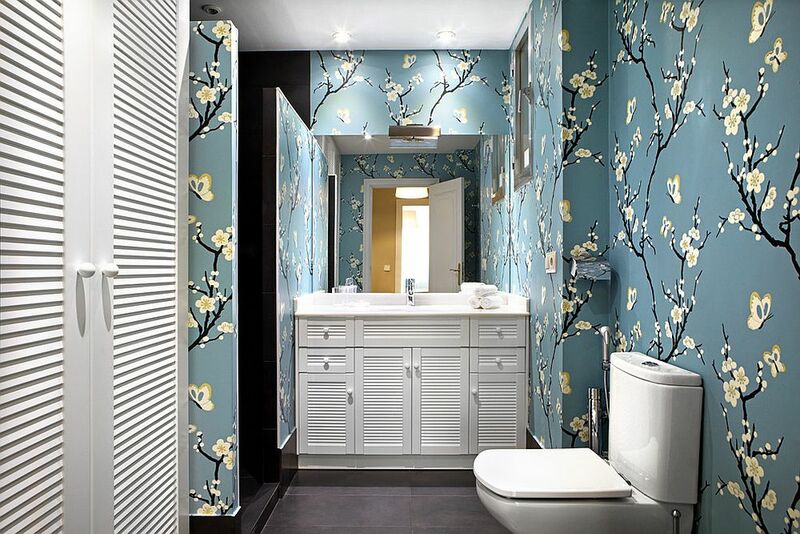 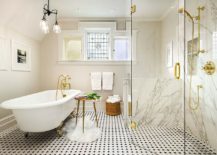 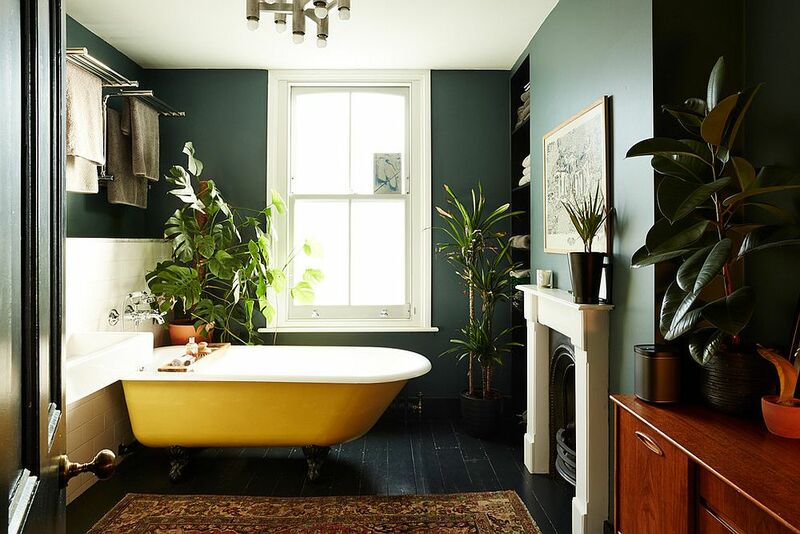 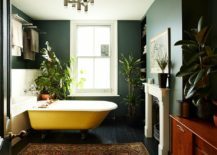 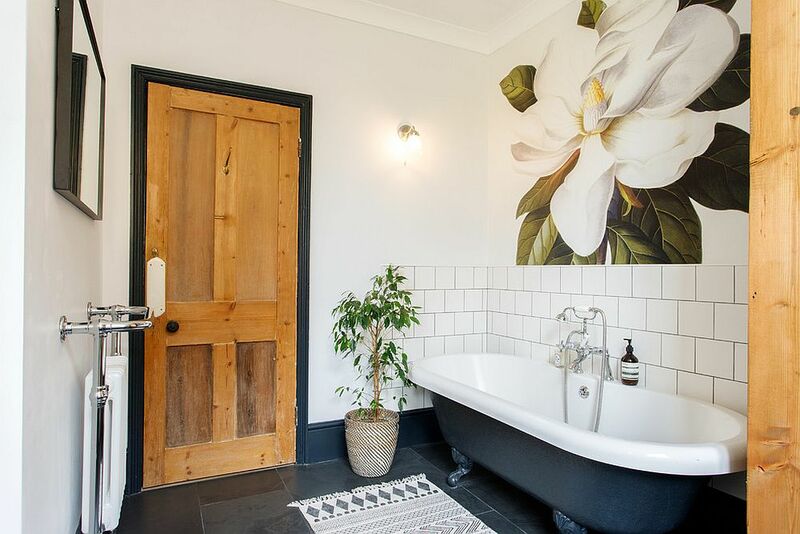 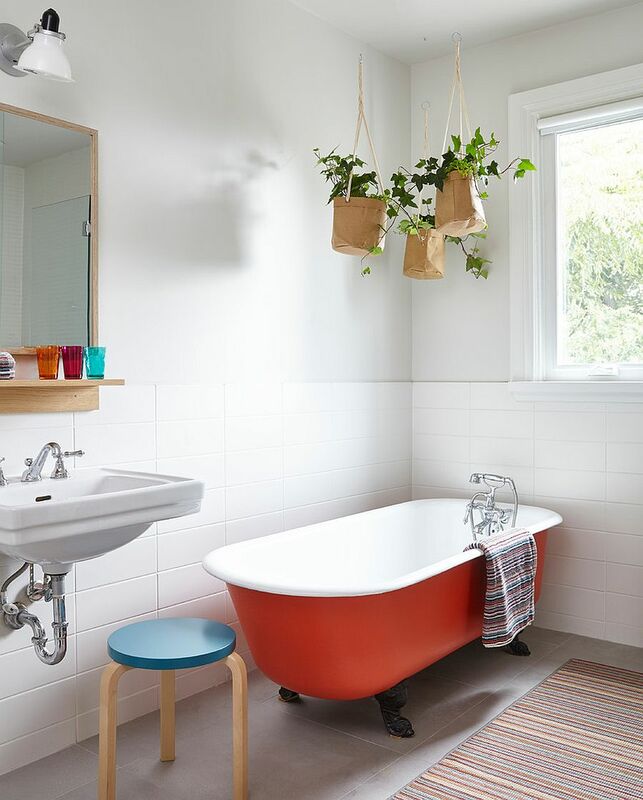 Be it the bathroom rug, the wallpaper or the feature wall with paint, it is best to pick what works in your particular bathroom over just what is currently trending. 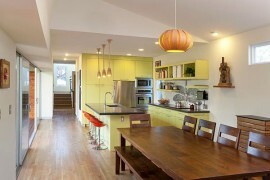 Using the right lighting also accentuates this colorful addition further. 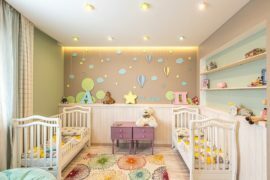 From wall decals to murals and colored tiled sections, finding the right solution does take a bit of time and you might not always get it right on the first go. 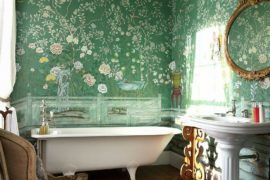 Be patient and we do hope the inspirations on display today make the choice easier for you.